Not something Our Movers strive for - it is what Our Movers deliver to our clients every day! Moving locally to a new home is one of the most stressful situations in life. We are here to eliminate the worry, and to help you with this transition. All our moving vehicles are specifically equipped for this task, and our award winning experienced movers are ready when you are! We are industry specialists when it comes to long distance moving for your personal household goods within North America! Allow us to handle the various complex rules & regulations when it comes to entering or leaving the United States & Canada. Our teams are made up of trained and experienced packers that use the best material and the latest packaging innovations to ensure that all of your goods are fully protected throughout the entire move. We also offer custom crating & overseas wrapping options as well! Anyone who has moved overseas or internationally realizes how incredibly complex & daunting the procedure can be. From customs controls, transport, handling, origin/destination servicing – allow our professional international movers to handle this for you! Looking to store your belongings? King’s Transfer offers its clients short or long-term storage in clean, bonded, government approved, temperature-controlled environments and equipped with security alarms across Canada and the United States of America to guarantee the safety of all items entrusted in our care. When your business needs to move, you need the knowledge and experience of commercial moving specialists. King’s Transfer has been a major commercial mover for over 60 yrs. We are experts in the field of commercial moving with the most highly qualified staff available. A satisfied customer & a stress free move is our only goal! For close to 100 years, King's Transfer has been helping families move to their new homes.. Founded in Montreal's Griffintown in 1922 by the grandfather of the current President (William O'Donnell) King's Transfer Van Lines Inc. is one of Canada's oldest and most respected moving companies. Today the company continues to be owned and operated by the O'Donnell family of Montreal, QC and has offices in Montreal, Ottawa, Toronto, Burlington, Winnipeg and Calgary. King's also has the distinction of being Atlas Van Lines (Canada) Ltd's longest serving agent and one of only five corporate shareholders - through our partnerships we offer access to over 650 associated agencies across North America. Our base of operations is in Montreal, Canada which allows direct port access to international waters, the St. Lawrence Seaway, two international airports, and customs houses within 5-10 mins. Along with our branch offices across Canada we can serve any need. 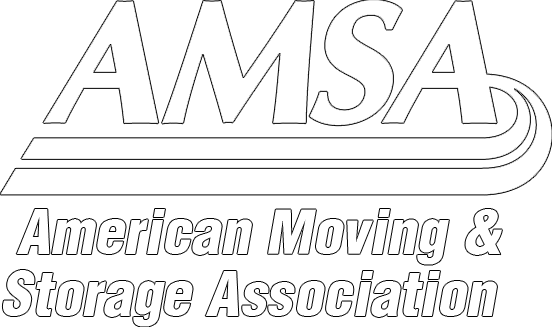 "What sets us apart from other moving companies? -- Nearly a century of dedication to our customers!" The relocation was flawless. Eric and his crew from Montreal did a fantastic job. They were extremely easy to work with, they worked hard and fast and were dedicated and committed to a trouble free move. The delivery was much faster than we expected with our furniture arriving just 2 days after being packed up. Communications with the office were timely and efficient. Thanks for your help in making this a good experience. How do I begin…moving, at our age, to a different province was incredibly stressful, but your phenomenal crew: Miguel, Amanda, Phil, and Collin were simply amazing. They were the most efficient, energetic, happy and caring team that I have seen in a long time. They totally reduced our stress level. They obviously love what they do, enjoy working together, joking with each other and working non stop. We spent, in total, 20 hours with them and every hour was perfect. The scheduled arrival time was right on at both ends. As well, your estimated cost was pretty much accurate. So many well deserved thanks to Kings Transfer Van Lines for making our seamless move. I couldn’t ask for a better crew to help me. The office staff is kind, considerate, flexible and above all, professional and competent. Joey’s crew came last week to take the first layer into storage. Even though they had a big job before mine, they were jovial, courteous, and efficient. Can’t imagine moving without them! The Kings moving team arrived this morning and did a superb job. Mike and Andrea were efficient and very polite and professional. Thank you sooooooooooooooooo much for everything. You guys have made this all so easy for me and I really appreciate it. I will definitely be talking to my friends about you guys And I can assure you that it will only be good things! Today’s delivery went well and I am very happy with your team’s work! Thanks so much for everything! I have received my items from Montreal this morning. I greatly appreciate that everything went well.